We are a trusted provider of residential septic services with over 10 years of experience in the Plant City, FL area. If you are in the Plant City, FL area and are in need of residential septic services, then look no further. At Southeastern Septic LLC, we are a trusted, local septic service provider with over 10 years of experience in the area. We offer a complete list of residential septic services to ensure your septic system continues to run as you would expect. Each of our professional septic contractors is trained and qualified to identify problems quickly, find effective solutions, and answer any questions you may have about your septic system. In most cases, residential septic systems are low maintenance. Septic systems include the drainage system, the septic tank, the piping, and the drain field. Other parts may include a grease trap, effluent filter, pumps, valves, etc. Each of these pieces plays an important part in ensuring the proper neutralization and disposal of your home waste materials. Most septic systems use aerobic processes to naturally treat waste materials. If you follow some important tips, your system should continue to run smoothly for many years to come. If you would like some helpful hints about increasing the lifespan of your system, give us a call. If you have questions about the care of your system or if you are in need of any residential septic services, contact us at Southeastern Septic LLC today. 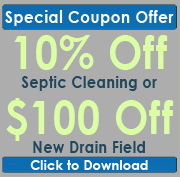 We offer all septic installation, maintenance, repair, and replacement services. Southeastern Septic offers professional Residential Septic Services in Plant City, Auburndale, Zephyrhills, Lakeland, Mulberry, Bartow, Polk City, Winter Haven, and Polk County.